Jessica Schubert has heard it all too many times. “I’m so OCD.” “Oh, that’s my OCD acting up.” They’re the explanations many people offer to explain their little quirks. The problem is that a quirk — a peculiar behavioral habit — is much different from obsessive compulsive disorder (OCD) — a potentially severe mental illness that affects more than three million Americans in the United States. Bringing awareness to OCD and its complications is one of the Harborcreek native’s goals. 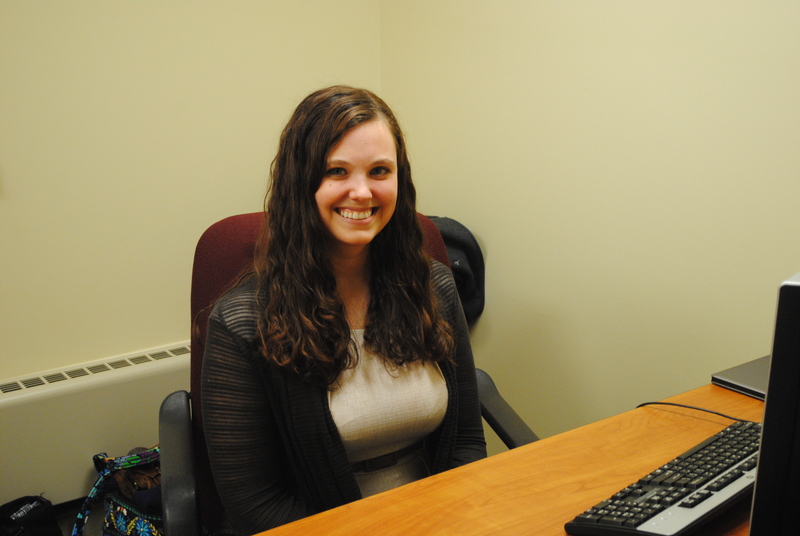 Now a Ph.D. candidate at Binghamton University – SUNY, Schubert has developed an interest in OCD, partially because treatment of the disorder remains a relatively new concept. “It’s only in the last 30 years where we’ve had any effective treatment for OCD. Before that, the field was very psychodynamic, but over time, the theoretical focus changed to behaviorism. That small change in focus has really led to the treatment of OCD,” she says. According to Schubert, treatment can take many forms. Medications may be used, but Schubert says they’re often not a long-term fix. Instead, she proposes exposure-and-ritual prevention, a type of cognitive-behavioral therapy. The idea is to encourage the person suffering from OCD to face his or her fears. “The problem with someone who has OCD is that they’re avoiding what they’re afraid of. Having them stay with their anxiety will allow them to see it go down over time,” she says. Schubert’s doctoral research specializes in sleep patterns and how they potentially affect OCD. This was also her topic of discussion when she returned to Behrend this semester to speak as part of the college’s Colloquium Series in Psychological Sciences and Human Behavior. Schubert estimates that at least half of those diagnosed with OCD are unable to maintain regular sleep schedules. In fact, OCD sufferers tend to stay awake through the night time hours, only to sleep throughout the day. Schubert’s research examines the role that disrupted circadian timing of sleep plays in the severity of obsessions and compulsions. Often referred to as the “body clock”, the circadian rhythm is a 24-hour cycle that tells our bodies when to sleep and regulates many other physiological processes. Although Schubert is still conducting more research on the topic, she says she’s encouraged by her findings, which suggest that sleep patterns do play a role in the severity and effectiveness of treating OCD symptoms. Schubert plans to dive further into the topic in the years to come, but she is also excited about the other potential paths her professional future could take. This entry was posted in Alumni stories, School of Humanities and Social Sciences and tagged Behrend, Jessica Schubert, obsessive compulsive disorder, OCD, Penn State Erie. Bookmark the permalink. Naturally, I’d be delighted if you share this embeddable graphic on https://behrendblog.wordpress.com/2015/04/22/behrend-alumna-specializes-in-ocd-research/ , and/or share it with your followers on social. Either way, keep up the great work !